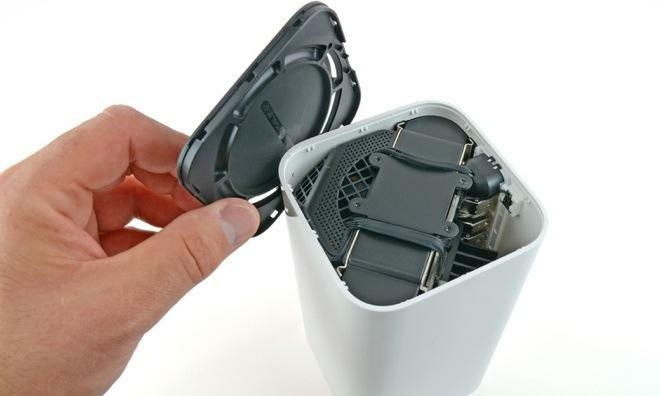 Apple's new tower-shaped AirPort Extreme is simple to take apart, and utilizes the same design layout as the company's new Time Capsule, including space for a 3.5-inch hard drive. 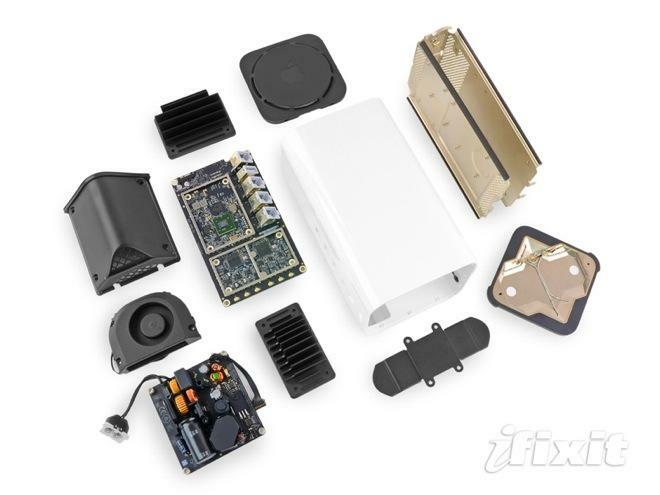 Upon removing the top cover of the new AirPort Extreme, iFixit found in its teardown that the device includes 3.5 inches of empty space. The solutions provider was able to fit a standard-sized 3.50inch SATA hard drive inside the device without issue. However, there are no connectors included with the AirPort Extreme that would allow users to add a hard drive to the inside of the router. Apple is presumably just using the same design for its new AirPort Extreme as it is with the updated Time Capsule, which comes with internal storage options of two and three terabytes of data. 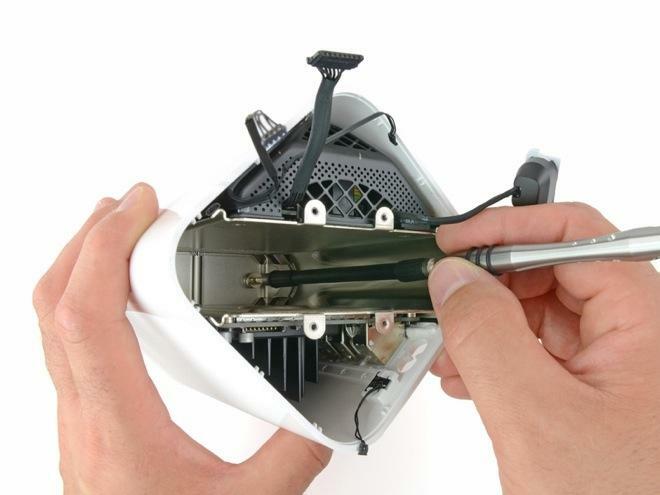 The repairability of the new AirPort Extreme was praised, with the device being given a score of 8 out of 10 by iFixit. Along with the Apple TV and Mac mini, it is said to be one of the most repairable Apple devices in recent history. Specifically, the new 802.11ac-capable router is held together by a minimal amount of glue and standard Torx screws. That will make getting inside the AirPort Extreme easier for enthusiasts and experts. The AirPort Extreme includes six antenna cables that run up the center device and attach to a plate at the top, which functions as the antenna. The new 802.11ac Wi-Fi promises speeds of up to 1.3 Gbps, which is triple the rate of the previous 802.11n models. 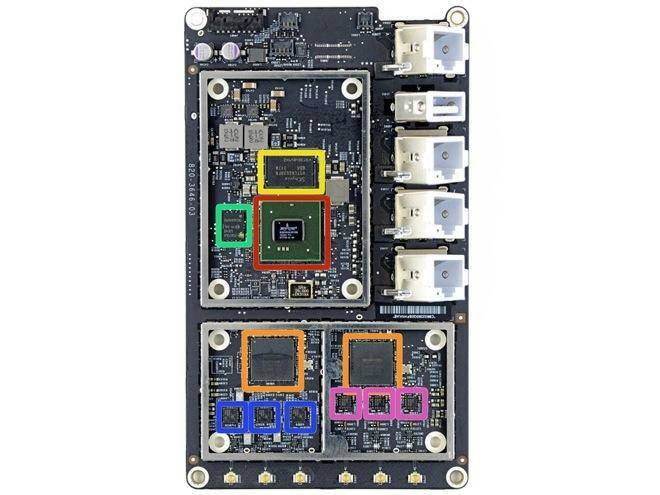 In another design change, the updated AirPort Extreme has moved the power supply  a Delta Electronics 12V 5A unit  to the inside of the device. That allows for the device's cable to eschew a bulky "power brick." The new AirPort Extreme and two new Time Capsule models, unveiled at this week's Worldwide Developers Conference keynote, are Apple's first 802.11ac routers. Currently, they are only compatible with the latest MacBook Airs in Apple's lineup, though it's expected that future devices will take advantage of the faster Wi-Fi connectivity.